The host was really sweet and guided us throughout our stay. 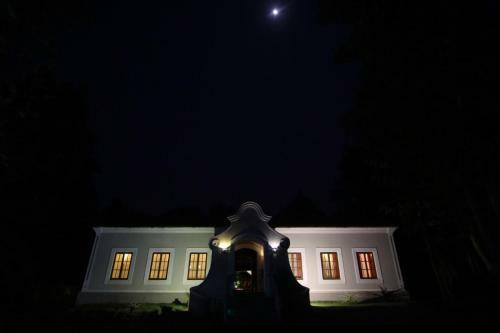 The villa is located in between woods and it was a lovely lovely place. Loved every bit of our stay and the hospitality offered by the host was top notch! We will definitely be visiting again, soon. Tranquil little oasis in beautiful non-touristy Loutolim. Anthony and Carmen are a delight. It is a perfect place to have a relaxing chilled out vacation. Extremely beautiful villa which is really well put together and exudes luxury effortlessly. The location is amazing..very quiet...away from all the city buzz...very helpful care-taker..nicely maintained rooms..just an amazing experience! A lovely traditional Portuguese style villa in a peaceful location with the added benefit of having its own private pool and gardens. The owner and staff at the villa are very friendly and helpful and made our stay very enjoyable, arranging food, transportation and even a massage session. The villa is the perfect place if you want to get away from the stress of everyday life and have a relaxing private holiday where you can even decide what time you want your breakfast cooking! South Goa is very beautiful and a lot less commercialised than the North, it has lovely unspoilt beaches and great restaurants to dine in. We will return for sure. Villan med sin kringbyggda innergård i utkanten av byn Loutolim är ett minne för livet. Sovrummen, badrummen, matplatserna, poolen, servicen, listan kan göras lång vi njöt till max i 8 dagar jag och mina 2 vuxna barn. Möjligheten till att kunna äta hemlagad indisk mat anpassade efter oss som gäster var bara ytterligare ett bevis på boendets yttersta kvalitet. Personel harika , kafa dinleyecek sessiz sakin bir yer istiyorsanız harika. Ikshaa villa est le genre d'adresse qu'on aimerait garder secrète. Si on recherche le confort, au calme, c'est le lieu parfait. Carmen a décoré la villa avec goût et expertise des antiquités. La piscine est profonde et sans le moindre vis-à-vis. Pour les services, tout est prévu : transport aéroport, proposition de déjeuner et dîner, boissons, massage. Point important : Carmen se démarque en ne louant l'ensemble de la villa qu'à une seule famille à la fois, même si celle-ci n'occupe pas toutes les chambres. Quel bonheur de retrouver l'intimité en Inde. Lock in a great price for Ikshaa Villa with Private Pool – rated 9.8 by recent guests! One of our top picks in Majorda – and a guest favorite. Located in Loutolim near Majorda, Ikshaa offers an outdoor private swimming pool. It features free Wi-Fi. Complimentary airport transfers are provided. Accommodations will provide you with a flat-screen TV, air conditioning and a balcony. There is a well equipped kitchen. Featuring a shower, private bathrooms also come with a hairdryer and free toiletries. You can enjoy a pool view and a garden view. 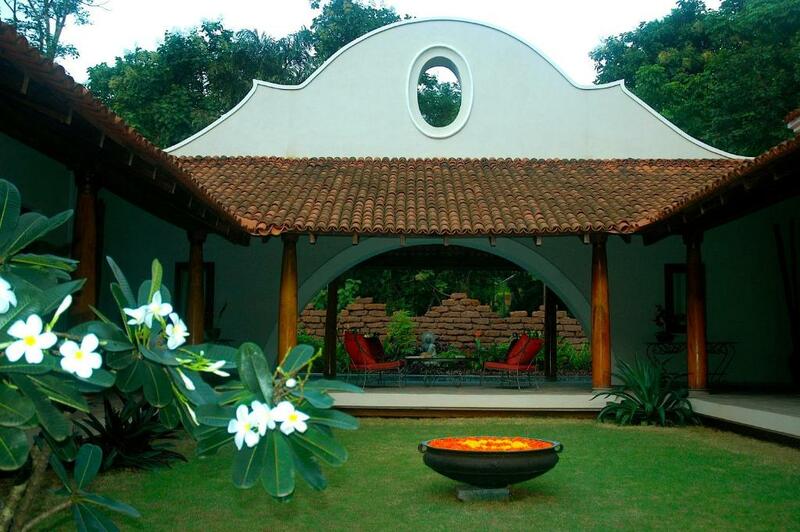 At Ikshaa you will find library, a garden and BBQ facilities. Other facilities like a tour desk, luggage storage and a laundry are offered. Guests can pamper themselves with a massage. The property is 5 mi from Spice Farm Ponda and 6.2 mi from Colva and Benaulim Beach. It is 5 mi from Margaon Railway Station and Margaon Bus Station. The Goa International Airport is 12 mi. The property offers free parking. Dining options include a dining area that serves Indian and Continental cuisines. Guests can enjoy complimentary English breakfast. Room service is provided. This property also has one of the top-rated locations in Majorda! Guests are happier about it compared to other properties in the area. This property is also rated for the best value in Majorda! Guests are getting more for their money when compared to other properties in this city. When would you like to stay at Ikshaa Villa with Private Pool? Accommodations will provide you with a flat-screen TV, air conditioning and a balcony. There is a fully equipped kitchen. Featuring a shower, private bathrooms also come with a hairdryer and free toiletries. You can enjoy a pool view and a garden view. This villa "Ikshaa" with a private swimming pool is one of the most secluded and romantic villas which combines luxury with rustic beauty! 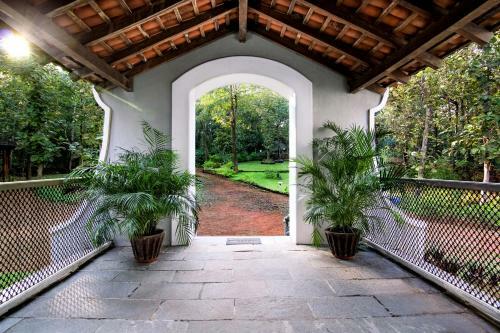 The greenery and forest around is charming and yet it is just a 20 mins drive away from the Goa airport or from the nearest beaches of south Goa. You will have no trouble feeling right at home here at Ikshaa in Loutulim! It's strongly recommended to anyone who wants a beautiful, quiet, secluded, romantic and yet a luxurious holiday!! 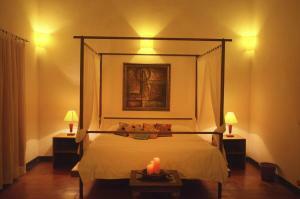 Ikshaa is a 3-bedroom luxury villa with a private pool, that has been thrown open to guests since 2009. Complimentary airport transfers. Complimentary full English breakfast. Unlimited tea, coffee, juices. Lunch/ dinner provided on request. Barbeque facility in gazebo. 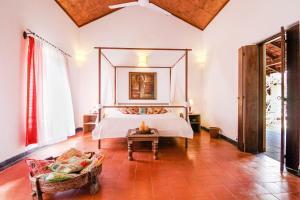 Airconditioned bedrooms and living room. Complimentary WiFi, iPod docking, Satellite TV/DVD. Daily newspaper. Personal laundry. Goa's biggest rainshower heads. Massage services. Medical service on call. Baby sitting (with prior intimation). Loutolim is a state of mind! It is a slice of Goa, a sliver which makes you fall in love with yourself for choosing to be here. It's where time never moves, pausing to let life and living take over. A 20 minutes drive from most south Goa beaches, this is a typical Goan village with sylvan surroundings, gorgeous houses draped in greenery, where mornings begin with bird chirps and church bells, where your morning walk could be through a nature park with friendly creatures of the animal kingdom and birds giving you a warm welcome! And there are the locals, each a character who loves his life in the village and proud of its traditions. You'll have writers, poets, musicians for company. The neighborhood has the famous Jila bakery, a family run landmark which is world renowned. 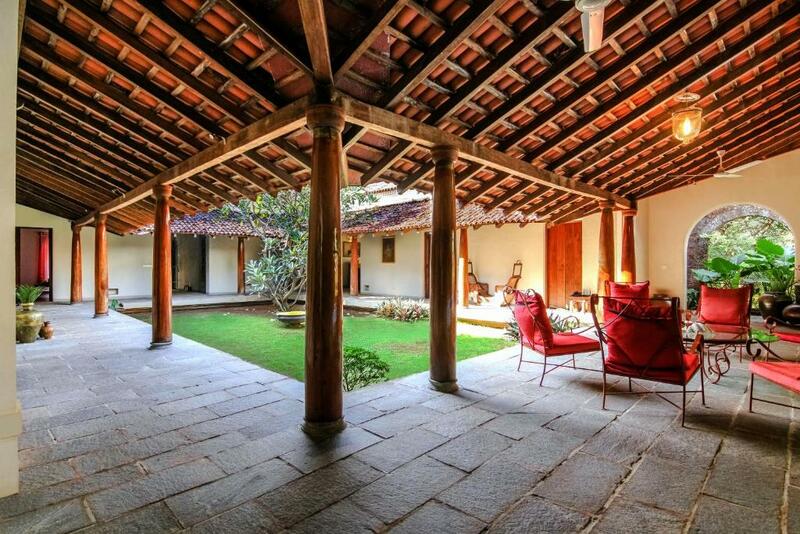 Come to Loutolim for a life which is well lived, for a time which is yearned. Here, there are no boxes to tick, no bucket lists to achieve, no targets to meet except one - to be one with who you really are! It's a clarion call you need to answer, a call you'll thank yourself for taking. Loutolim - nothing beyond.......! House Rules Ikshaa Villa with Private Pool takes special requests – add in the next step! 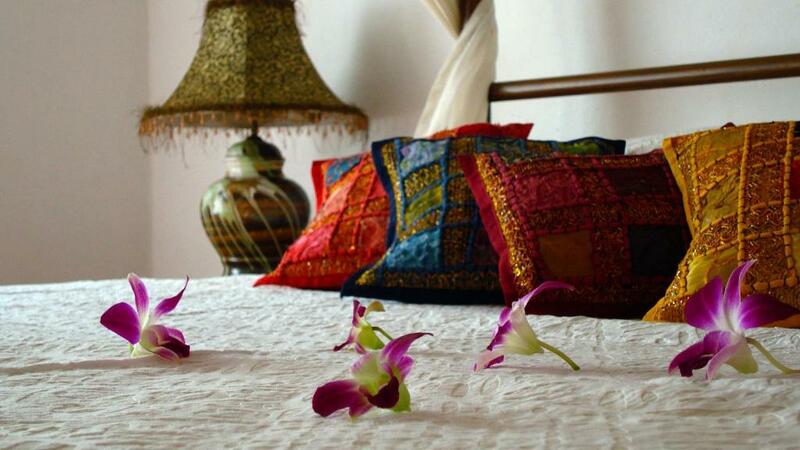 Please note that the rates are per villa per night and not per room per night. Please note that guests can enjoy complimentary and unlimited tea, coffee and juices throughout their stay. Please inform Ikshaa Villa with Private Pool of your expected arrival time in advance. You can use the Special Requests box when booking, or contact the property directly using the contact details in your confirmation.